The search engines provide the highest converting traffic available on the web because every visitor you get was looking for what you offer. Due to constant changes in search engine ranking algorithms, fierce competition and the amount of time required to achieve and maintain good positions and traffic, you need a search engine optimization specialist who keeps up on the latest SEO trends. We keep up on the search engine trends and help you get listed on other websites that people use to find businesses. Some of our clients have multiple spots on the first page of Google search results. Search Engine Keyword Analysis and Targeting. 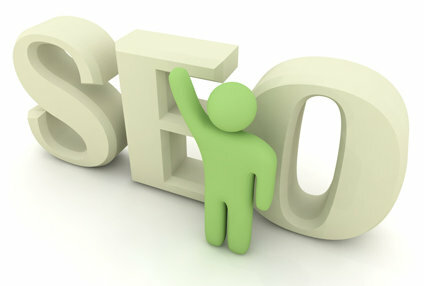 Traffic and SEO generation via targeted business directories and search results. Local listings optimization for Google, Yahoo, Bing and more. HTML Code manipulation to achieve top listings for targeted and effective web searches. Ongoing SEO monitoring and optimizations. Website optimization for improved sales and leads generation. Build links that will boost your rankings. Our search One time or ongoing web site keyword optimization so surfers find your web site ahead of your competition's in Google, Yahoo, Ask, Bing and other Search Engines. Social media marketing is one of the most powerful marketing tools today. We manage PPC for many clients. Whether you're spending $100/month or $100,000/month, this is a process that needs close attention to detail and experience to be done effectively. Our design and marketing pros can create custom daily or weekly mailers to keep your customers constantly coming back to your website as well as keep your mailing list growing. Call us now for a free consultation and ask about the current specials!